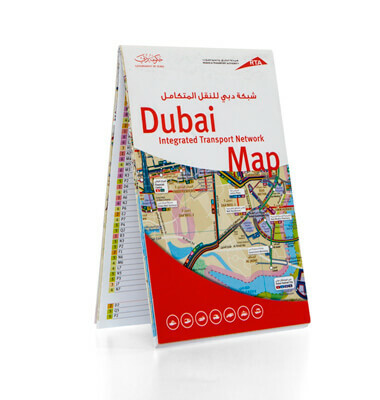 The unrivalled cartographers created a sophisticated Network Route Map, and subsequent Leaflet, of Dubai for the RTA. Working to customised specifications and with the latest satellite imagery, we mastered the RTA’s complex transport network around the city, pinpointing exact locations and promoting the newest routes and signals. For this product, Explorer drew on their expertise, experience and award-winning team to deliver a comprehensive and up-to-date product, featuring all the city’s major arterial roads, landmarks, area names and new developments always clearly marked.